Shut the Door and Teach: Morning Meeting Greeting: What's the News? Morning Meeting Greeting: What's the News? At my school we do Morning Meeting. Although most teachers were already pros at it by the time our current principal came along, it was new to me! 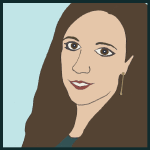 I felt like a fish out of water because it was such a stark contrast to Lorainne Monroe's "Do Now," teacher-directed, "leave your baggage at the door and do what the teacher says without a word" philosophy of my previous school. My teaching style tends to fall somewhere in the middle of this wide spectrum! By the end of the second year, I felt invested in Morning Meeting. My principal had modeled how to run a meeting sitting in a circle in our rug area, having a fun greeting, share time, an activity, and making announcements. I researched lots of activities to do for the "game" portion and greetings, and this year I've done a pretty good job of mixing things up. Since every group of kids has a different dynamic, my fourth graders this year have different favorite "go to" activities this year from last year, and by far our favorite greeting has been, "What's the News?" I have a very chatty class this year. Even my most attentive listeners love the opportunity to talk, talk and talk some more. So hearing their news is always interesting. It always sparks great conversation. And it always means that Morning Meeting runs the risk of lasting a half hour. I know, I have the option of limiting the number of students who share. I'm just always afraid of missing really important news. I'd hate to listen to a kid talk about, "yesterday I got to go to the mall" while that other kid who isn't chosen that day gets no opportunity to voice, "my baby cousin was born," or "my dad was in a car accident." Besides, everyone needs to be greeted. And I know, I could have them partner up to greet each other at the same time...but it doesn't work. They all stop to listen to each other and then feel bad when they run out of time listening to each other. So once I started this tradition of sharing our news, it was hard to get out of it! Then I thought about another strength of my class. They enjoy technology (and as you can guess by the fact that I have several blogs, so do I). 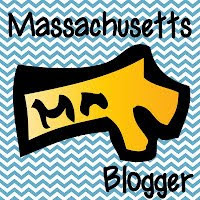 Our classroom blog is for them as opposed to their parents (you can see the benefits of Edmodo vs. Weebly in this post). I realized not only is technology a huge hook for them this year, but what I really needed was to borrow from a well known website that is geared towards quick updates. Something that would allow students to all be heard, but only for a moment. Hence the birth of our Twitter Board! 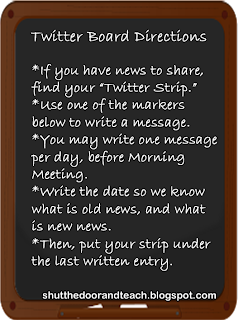 I'd seen another teacher create a Twitter bulletin board outside the classroom for the beginning of the year with sentence strips, so I thought about how I could make the board more visible in my classroom. I inherited a pocket chart when I started teaching at my current school, and it's always been under utilized. So I laminated some sentence strips to put in the pockets. 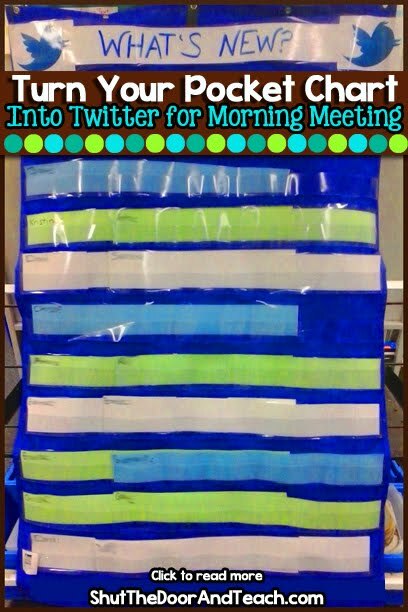 Each strip has a student's name on it, that way they can each write only one "Tweet" per day, as soon as they come in in the morning. It is a work in progress teaching them how to put their news under the last person's news, and how to start fresh on a new day, covering yesterday's news but not anyone's news for today (there are fewer pockets than kids, so we have to accept there will be "overlap," but so far there hasn't been a day when more than 10 kids have news to tweet). Overall it's been a big hit! For one thing, when I told the kids that, "Although I love hearing all your news each day, I feel like we're sitting in the circle for too long each morning," they emphatically agreed! Since introducing this system, I usually get at least 6 kids who want to Tweet, so all I need to do for our "share time" is to run through the Tweets myself. 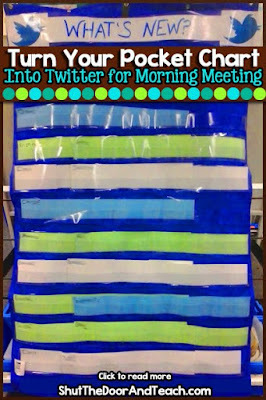 It's a great complement to my Morning Meeting Shares sign up system (click to read the next post in my Morning Meeting series)! The kids are as glad as I am that Morning Meeting moves along at a quicker pace without squashing anyone's news. Do you have any sort of "share time" in your class? This article was reposted from All Things Upper Elementary. 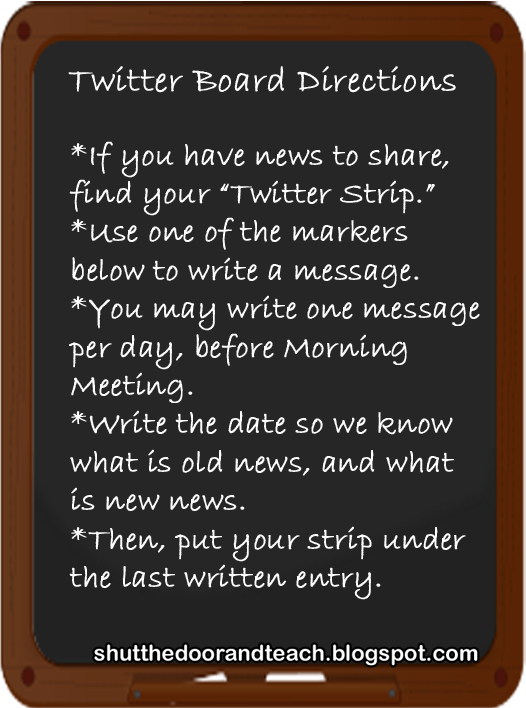 I LOVE the Twitter board idea ~ that's totally new to me! Great idea! Glad you shared it!